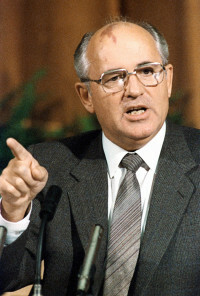 In August 1991, Soviet hardliners attempted to overthrow the progressive Mikhail Gorbachev, Secretary General of the Communist Party, in a desperate attempt to save the collapsing Soviet Union. 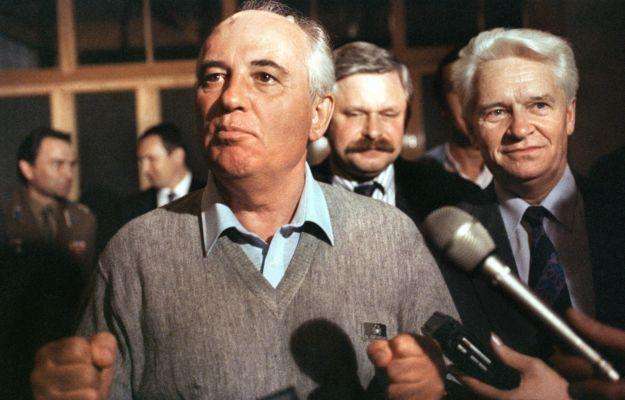 Declaring a state of emergency, eight government officials named themselves the State Committee on the State of Emergency (GKChP) and forcibly detained Gorbachev in the Crimea, where he refused to resign. At the GKChP’s behest, armored tanks thundered into Moscow on the morning of August 19th, and the city’s only independent political radio station was silenced. Later that day, President Boris Yeltsin issued a statement condemning the coup and commanding those responsible to release Gorbachev. 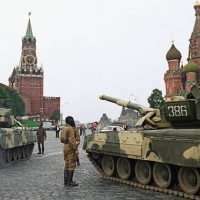 The coup disintegrated with little bloodshed two days later, on August 21st, when the soldiers withdrew and communications between Gorbachev and Moscow were renewed. 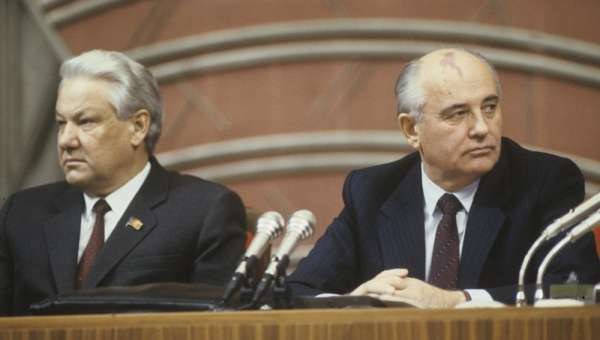 Although unsuccessful, the coup signaled an end to both Gorbachev’s supremacy and to the Soviet Union, which would be dissolved in December of that year. In the following interview with Charles Stuart Kennedy beginning February 2003, William Green Miller, who was working in Moscow for the American Committee on U.S.– Soviet Relations at the time, discusses his impressions of the Soviet Union’s final days, the bitter rivalry between Yeltsin and Gorbachev which all but sealed the fate of the USSR, and his memories of the coup which heralded the end of an era. Read also about Yeltsin’s 1993 constitutional crisis and the attack on the Russian White House. MILLER: The battle for the survival of the Soviet Union was personified in the rivalry between Gorbachev and Yeltsin. I was there, in the Kremlin, in the Great Hall, when Gorbachev came back from the coup attempt in August. Yeltsin received him on the stage with such visible great contempt, at the swearing-in of Yeltsin as President of Russia. I was present at the trial of the Communist party, which was held in the former offices of the Central Committee, which was then being transformed into the offices of the Constitutional Court. And I was present at committee meetings of the Supreme Soviet on human rights and arms control…. Q: What was the role of nongovernmental committees? MILLER: NGOs came in to Moscow in abundance starting after the last Central Committee Congress, in 1988, during which Gorbachev gave his landmark speech admitting “there were white spots in history” and that “it was possible to have different views than that of the party,” an admission and permission that began the end of the party….Every conceivable nongovernmental interest group started to arrive, and they multiplied almost like a plague of locusts….it was messy and contradictory and difficult, but all of it was a part of the turbulence going on at the time…. Marxism was still deeply held. The Gorbachevian proposition was that Marxism could be reformed, that the era of change was necessary because of the failure of Stalin and his regime’s brutality. The 1968 Czech Prague uprising had a profound effect on Gorbachev. The idea that it was necessary for socialism to have a human face was then widely believed. It is still a strong element of belief in Russia, and as I found, in Ukraine. He believed in reformed Marxist solutions, he believes in it to this day. It’s still a strong school of thought in all of the former Soviet states – although it is a minority view, whereas it was once the only permitted view. The hardliners, who were in charge of the security organizations, were the holdouts, but in the perestroika [“restructuring”] time, they were the ideological minority, although they were in charge of the security ministries. The August coup of 1991 was their last attempt to maintain control. And that was the question, whether the ideological change, the “new thinking” so called would prevail, or whether the hard-liners would allow the change to take place…. [T]he futile, comic coup attempt, by the pathetic coup group, was a clear sign the change was irreversible. The Stalinist hard-liners didn’t have the conviction that a militant group in charge of the power and security ministries in the past would have had. The children of the Bolshevik Revolution had a different idea. The failure of Gorbachev to handle the expectations and demands of the intellectuals, the inability to control or at least steer the new freedom that had been acquired by the younger generation, was the main reason, I think, for the end of the Soviet Union. Gorbachev couldn’t accommodate or adapt fully enough to the consequences of this new freedom…. This was a hell of a time to be in Moscow as a Foreign Service officer, as an NGO president, as I was, as a journalist, as a tourist. It was an extraordinary moment and a great expression of the best in the human spirit…. I think [there is] a desire on the part of some of our leaders to think that they were responsible for the end of the Soviet Union. The end of the Soviet Union was Soviet, from within. It had little or nothing to do with us…..Like Sampson, the Soviets brought down their own house…. Q: You were there during the coup attempt against Gorbachev, when Yeltsin came into his own? MILLER: Yes, of course, but there was also the suspicion that Gorbachev was part of the coup. That’s a thought that persists to this day, that Gorbachev was trying, in some way, to get rid of Yeltsin, that Yeltsin was such a threat to Gorbachev that this coup may have been a clumsy effort to get rid of Yeltsin. 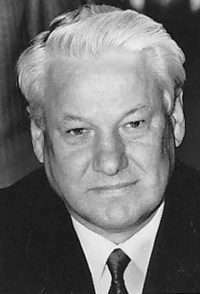 Yeltsin was warned by the KGB in Moscow and he escaped – he was about to be captured. When I was Ambassador in Ukraine I stayed at Foros [a resort town in Yalta on the southwest coast of the Crimea], there where Gorbachev had been seized by the KGB. The Director of Foros told me details during my stay there in 1996, of the days of the coup. He was there at the time of the coup. He said that during the coup, Gorbachev always had full communications with Moscow, he was very well-treated. 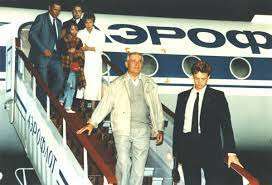 The director believed that Gorbachev was really free to leave, but did not do so until Yeltsin sent Sergei Shakhrai [Olympic pair skater] down with a plane to bring him back after the coup effort collapsed. The Director of Foros believed that Gorbachev was part of the coup. I know that Yeltsin’s people believed that…. Q: What was the viewpoint from the Moscow side of the fall of the Berlin wall in ’89? MILLER: The fall of the Berlin Wall cannot be understood by itself. The impact of the 1968 Prague uprising on Gorbachev, the power of the human rights movement and the example of people liked Andrei Sakharov…all contributed to the eventual fall of the Berlin Wall. But most important was Gorbachev’s decision that people of each nation will make their own decision about the government they want to have. Self-determination is a view that he came to in 1968 in the Prague uprising. Some of his close friends were Czechs…. The possibilities of working out a new democratic rationale for the Soviet Union [were] lost with the death of Sakharov. 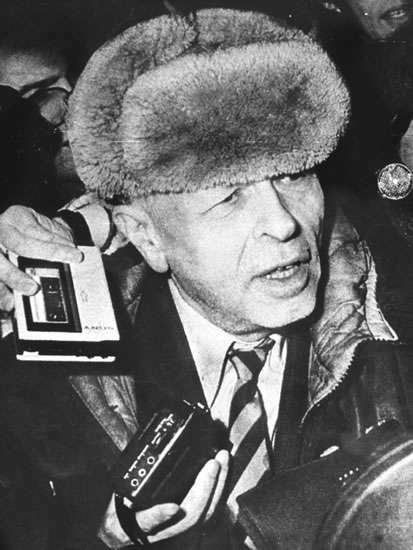 Sakharov was the only one who could have crafted a new viable confederation, a looser democratic arrangement of states within the territorial framework of the former Soviet Union. [T]he debate at that time centered on the issues of whether it was possible to have a confederation on new principles, principles of democracy, human rights, decent civic and civil behavior….It was a brief period of two years when this remarkable group of Russians were looking at the possibilities of a great new future. After all, the Soviet Union was a country that was founded on dreams, dreams that were almost never realized, of course. These dreams and hopes perhaps were never intended by the Stalinists and the leaders of the Communist Party to be anything more than temporary illusions. But in those years, there were dreams and hopes that seemed to have meaning and possibility. People were coming to Moscow from all over the Warsaw Pact region…. It was a very real hope – that is, the possibility of a democratic Soviet Union. The chance for a democratic Soviet Union is challenged by the drive to create an independent Russia. That crucial period in Moscow was extraordinarily hopeful from the point of view of the possibilities of constructing a new Europe, a new world after the failed experiment of the Communist Party. Russia lost its direction when it lost Sakharov….I would say once the Sakharov’s moral and intellectual leadership was gone and there was a divided struggle for power between Yeltsin and Gorbachev, the impetus for self-determination, independent states, gained sway, and that was really the end. The coup attempt was very symptomatic. The coup was the last gasp, a last-ditch effort by a military coup, by those who wanted to keep the Soviet Union together. Q: How did your organization and you see developments prior to the coup? MILLER: We were just as active after the coup as before in working in the parliaments of both of these structures, and in the new ministries of Russia, particularly the Ministry of Justice, while at the same time the existing Soviet structures were in place. There was a kind of joint responsibility of many of those who were Russian and those from outside who were really helping both places, because it was all seen at that time as useful. But, certainly, there was an overall sense of waiting, waiting for the decision. There was a peculiar sense of stasis even in the midst of dynamic change. Many efforts were made to bridge the gap between Gorbachev and Yeltsin in the last year, but after the August failed coup, Yeltsin had the upper hand and he used his advantage to destroy Gorbachev’s power. Gorbachev knew that a coup was being considered and he may have been complicit, even if he was not directly involved in the actual carrying out of the attempted takeover. The Politburo had fractured, obviously, with the creation of Russia earlier in the year, and all that were left in the Soviet leadership structure were second-raters, but they were certainly controllable by Gorbachev, even in the diminished circumstances. [After the coup] Gorbachev was cut to pieces by Yeltsin, particularly after Shevardnadze’s departure. He lost his majority in the ruling group, the Soviet ruling group….He had lost the leadership role and he didn’t convert the disintegration of the Politburo and the Central Committee into a majority group in the legislature, which was where the leadership was. Political leadership had gone from the Party to the legislature. This was the great change in the Soviet structure of the last several years of perestroika. The Party, the Communist Party – the Party of Power — had disintegrated. The Party, as an instrument of power, had disintegrated. The Party as a reflection of intellectual allegiances remained, but it was now in splinters, it no longer was the identity to the state. The Party was the state up until 1989. After the collapse of the single Party in the last Congress of the Party in 1988, it was no longer the main structural instrument of governance. It wasn’t the state any longer, so the state was somewhere out there, but the legislature was from where legitimate leadership and policy direction would come…. Gorbachev still had the remnants of the power in his grasp, and he had great putative power. He could have, in the minds of many, put it together again. But the coup of August 21st, ’91 was….the last desperate effort to hold it together. The coup was a crude device carried out by primitives and incompetents, as we saw. It ended disastrously, in such humiliation for Gorbachev. I witnessed the public humiliation when he came back from Foros in Crimea. I was in the Great Hall in the Kremlin, in the Assembly, and it was horrible. Well, it was the coronation, really, of Yeltsin, and a symbolic transfer of power. Yeltsin treated him very much in a way of a Roman emperor treating a king that had been defeated by the legions. It was symbolic; it was powerfully conveyed on television and throughout the world. Psychologically, the death blow was administered. One could see it, and everyone was affected. That was the decisive moment, when Gorbachev came back.